Please scroll below to request a Vehicle Wrap Estimate. Idea Printing & Graphics Inc can assist you in creating a vehicle wrap to advertise your business and create brand awareness. We have a team of experienced, and Avery certified professional Wrap Installers that can design, print, and install your vehicle graphics in an efficient and professional manner with industry trained and Certified installers. Depending on how much travel your company vehicle does in a day, and the area you live in, you can expect to get 5000 to 30000 looks per day. This medium of advertisement is not only effective, it is often easier to justify than many other marketing choices. Let Idea Printing & Graphics Inc create a moving billboard, advertising your business or service. Vehicle wraps are one of the most effective ways to get noticed on a large scale. Cover your car, van, truck, trailer, or even your boats, RV's, motorcycles, and recreational vehicles with custom vinyl, designed to meet your specific advertising or personalization needs. Get noticed while driving, or even while you simply park! The industry norm is to estimate fleet advertising impressions by calculating the number of miles driven per truck per day by the type of road. Imagine adding demographics as a dimension. What do you get? Vastly improved measurement capabilities, proof of performance and the ability to target your campaign. The Study measured the advertising effectiveness of fleet graphics for a corporate distributor using GPS units to track 10 of its delivery trucks through two major metropolitan areas. The three-month study correlated truck routes against zip codes and demographic data to deliver the most accurate measurements of message effectiveness, to date. Fleet graphics generate a large number of impressions--in this study, an average of 6 million Prime Daily Effective Circulation (DEC) per truck, annualized. 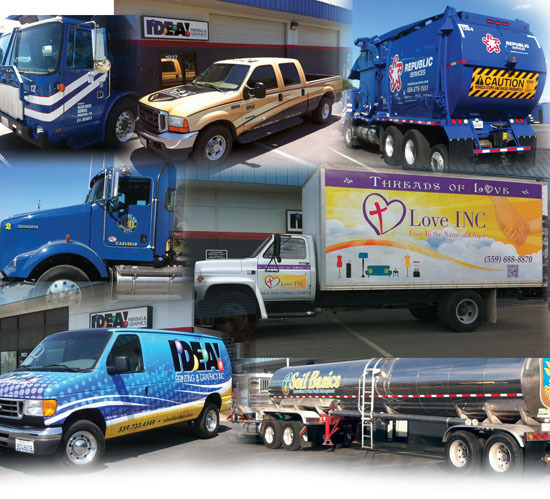 Fleet graphics add a valuable dimension to the advertising marketing mix. Give us a call for a free consultation and quote on your next wrap project, or fill out the form below and we will process your request and get right back to you. Please provide additional details about your project such as vehicle modifications, cab type, bed length and extentions. industry. Car Wrap Certified means that they have gone through extensive training on the proper methods to prepare, size, cut and apply graphics to vehicles. In addition, they must pass a written and hands on exam that confirms their learning. perform well and provide that look or message that you were looking for. 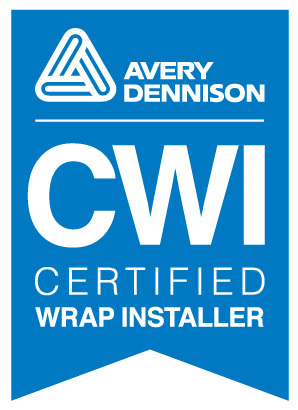 Our certified converters installers are located throughout North America and can assist you with your vehicle wrap needs.